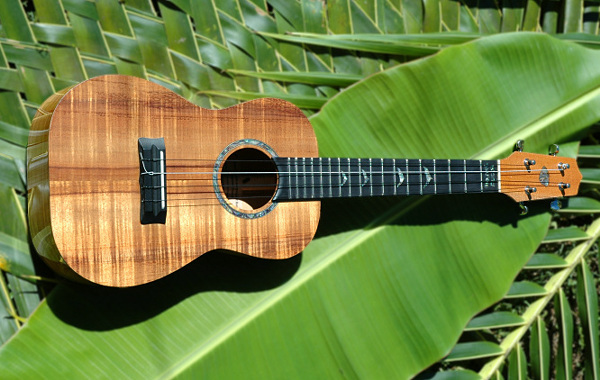 This is a Tenor Ukulele made on Kauai by Island Ukulele. The body is Full Curly Koa wood. 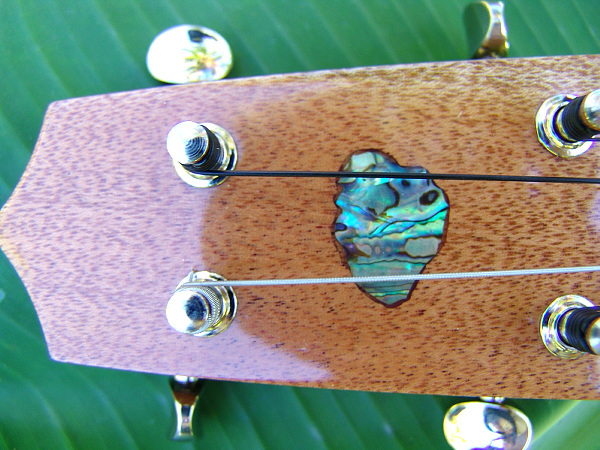 Abalone Dolphins down the fret board, and Abalone inlay around the sound hole. 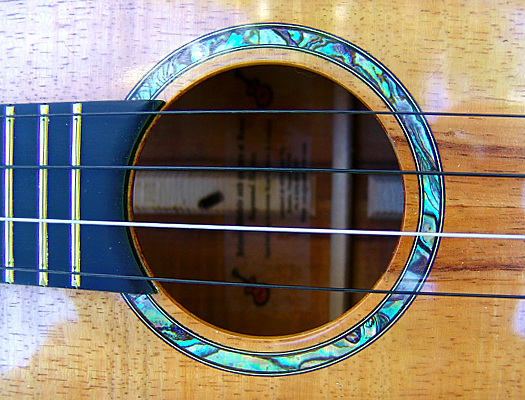 Below you can see more pictures of this ukulele. The pictures are of this ukulele. 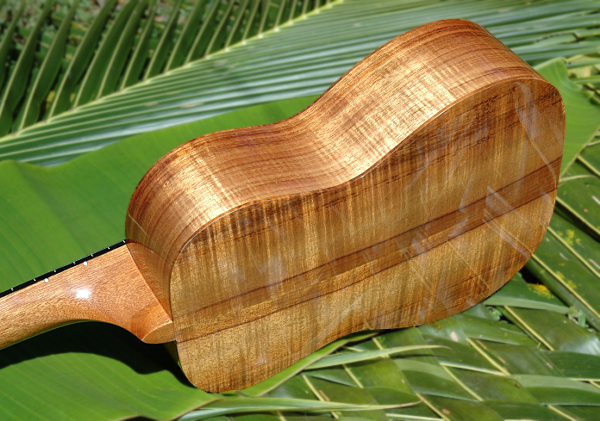 Each ukulele is unique. The ukuleles that you see here are in stock unless you see a "sold out" banner. Since they are only one kind items they can sell out fast. If we get more than one order for the same item the first order will get the ukulele. Other orders will have the option of a custom order, a change of order, or a refund. Koa wood changes it appearance with changes in lighting. Light and dark areas can switch depending on how you hold the ukulele. We try to capture the ukulele as best we can in the photos. Unless you come to Kauai you can not hold or play the ukulele first. Price includes a case and shipping. Shipping is currently by USPS with insurance for full value. You may be responsible for local taxes on this item. Specs- Frets : 18 / Strings : 4 / Curly : Full / Inlay : Kauai shape on Head, Island Ukulele and Dolphins on Fret Board, and Abalone Around the Sound Hole.